What are you selling? Who knows? Jon sells religion (though I’m sure he’d prefer I not call it sales). The funny thing is, I’m more bothered by the idea that what I’m selling is religion than the idea that I am selling. As much as I hate “doing sales”, I have to be honest with myself and acknowledge that my hate is rooted in selling fundraising stuff when I was in middle school and high school. The idea of trying to talk people into giving me money for something they could buy at half the price at a store always made be cringe. But then I think about Chris and Hugh … and Paul. Men of Athens, I notice that you are very religious in every way, for as I was walking along I saw your many shrines. And one of your altars had this inscription on it: ‘To an Unknown God.’ This God, whom you worship without knowing, is the one I’m telling you about. So maybe I am selling. Something to believe in. Or someone. Learning is hard when you don’t know something. as tempting as the formulas are, exactly right. Because formulas are easy to sell. Whatever you are doing, just keep on doing the same. Reading your posts always encourage me to view life differently. Thanks Diane. There are days I’m not sure what I’m doing, so I’m not sure what to keep doing. But that’s part of the adventure. Jon, it took me a long time to learn this lesson from Chris as well. We had a conversation over several of his posts on his site, at which point, he finally had to come out and ask, “What are you selling?” I’ve always believed I’m not selling anything, simply because of the line from The Princess Bride, “…anyone who tells you different is selling you something.” Lately I’ve been realizing that he’s right, I’m selling something, however, the reason I’m not enjoying the particular success I wish to achieve is because my problem is in closing the deal. I’ll be working on this in the next iteration of 168. I pray you and he will continue to support me in any way you can. Amen. Matches, you are illustrating the challenge that we have with the idea of selling. You are selling. The film offers an opportunity to look at life differently. The project offers people the opportunity to participate in the film. And as I think about it, being able to clearly and unapologetically say, “This project may not be for you, but if it is, please help” makes sense. We all have these bad connotations about selling, perhaps because we are afraid of buying wrong, of being lied to. But I buy all the time from people selling. How else do I eat? Or get the computer I’m writing on? And follow the link in his comment to find out more about the 168 project. I have often wondered about the ‘selling’ of the Christian faith. I went through Evangelism Explosion training and I felt like I had been through a sales course. If the person says this then you respond with this etc etc. Honestly, it was a huge turn off. Selling is about information. If you have good information and the person you are talking with is interested in your information then you are selling because you offer something they desire. Not everyone desires being a Christian. Even the Bible is clear on that. Their fate is clearly outlined as well but no amount of human convincing can turn them. Only the Holy Spirit can. To wrap up, if we are selling anything as believers it’s hope and that’s a ‘product’ I’ll promote all day long. Oh man, Frank, I understand that selling approach. And don’t like it at all. I mean, there is probably a place for scripts, but I don’t like them when receiving a cold call for some product or for a contribution to one of my colleges or when talking about Jesus. What I much prefer is a conversation, where someone says something and I do have a response, but not because it’s packaged. Instead, it’s because I’ve lived it or heard it explained better than I could. i’m writing this comment having written tomorrow’s post already. So it already reflects some thinking on what you are saying. But aren’t I selling insight or something like that? (wrong word, I know). But you are spending time to read this. That is an expense. That is an exchange. I’m not receiving the time, directly, but a sales rep doesn’t get the money. And trust me, I am getting a commission. (or maybe I working because of a commission). I understand your point, too. And I’m growing to see this sales idea (thanks to an insight from AJ Leon) as a metaphor that can be pushed so far and no farther. And I like the way you bring the Trinity into this conversation. And i’ll see you face to face tonight! Interesting sales proposition. If you’re selling Jesus, I’m in. Here’s my card #. Except He doesn’t want plastic, the price is already paid in full. So I want what you’re selling but I can’t buy it because it’s free? Have you asked Chris if “selling” has to mean an exchange of money or tangible assets? If you’re promoting the idea of following Jesus, is that “selling”? Was Paul selling? BTW If you’re selling religion, I got on the wrong train. I like what Joe will bring up in the next comment, the idea of a sales rep.
And I’m doing everything I can to not be selling religion. It would be nice and convenient and could be very lucrative, but seems to be it’s own, very limited, reward. When i read Chris’s post yesterday i just had a feeling a response was on the way 😉 I really do like your response by the way. Selling is such a loaded term. That said once you press through that i love the discussion that flows out of it. I suppose at the very least we are representing like a Mfg rep sort of and yes that may have selling implications. In my experience the best sales staff believe and use their product or service, they are patient, good listeners pretty articulate and most of all not pushy. Hmm yep think selling for Christ can work or at least being His rep.
“Everyone sells something,” is an interesting perspective. The fact that, as Chris wrote yesterday, sales trumps service, is another perspective.The idea that there’s no cost for buying into the idea that Jesus Christ is the Son of God and Savior of humankind is still another view. My perspective is a bit different. I believe service must take precedence in every step of the revenue generation process, from the way co-workers serve one another and vendors, to the way they wrap that service around the true needs of the customer. But don’t ask me, ask Tony Hsieh. It’s usually good to reference someone who has practiced a theory with extraordinary success. Zappos is a pretty good reference. If you feel compelled to break all human encounters into sales vernacular, then lets reflect on the explanation of benefits you get in the exchange of knowing and following Jesus. 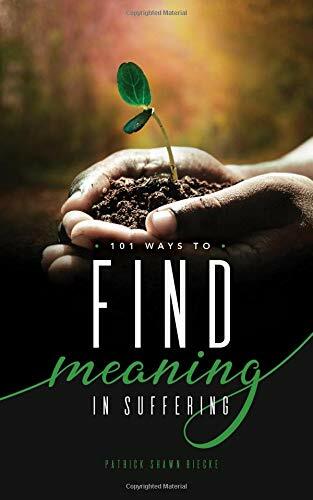 Various people rate the benefits differently according to their own faith journeys and needs….there’s forgiveness of sin; life everlasting; a community of the faithful…all sorts of perks. Is there a price? Absolutely! In fact, there’s a commandment…one I hope we all think about at times other than Maundy Thursday…and it’s to Love One Another. Not just each other, but one another, which means everyone. Those with whom you don’t agree, those who frighten you, those who smell bad. Some people find that way too high a price to pay. Others are a little put off by the idea of sharing or redistributing their wealth. The whole idea of picking up their cross and really followoing…that seems to be to high an expectation for some. Of course, the big gift–the greatest benefit–is that we don’t have to “do” any of those things. That’s where Spirit steps in–as Troy and Frank have said. Grace is available whenever we choose to reach out. Or as Anne Lamott says, utter simple prayers, like “Help! Help! Help!” But to offer the idea of Jesus without full disclosure (usually best conveyed through our actions and examples rather than words) of everything He represents seems a bit hollow to me…a bit like…sales. There’s no right or wrong answer here (there are never right or wrong perspectives…limitless ways to see the same truth, is what I say). Just other points of view. Thanks for letting me share mine. I am sure I’m breaking many rules of social media conduct in replying to myself…but that’s a way a lot of my conversations go! If I had a delete option next to my original post, I’d delete it. First…I think some of the least civil discourse of our day comes down to vernacular. And really, that’s what I just engaged in…arguing with words for the sake of words. Jon, please, keep right on selling. The world can use more Jesus, and he’s available through limitless channels–not all of which have to have the Mimi endorsement (go figure!). Nothing like a brisk walk to help me take myself and my perspectives less seriously! Mimi – you can talk to yourself all you want. I do it all the time! I’m really glad there isn’t a delete. I love the thinking that you are doing in front of us. I do that all the time as well. Perhaps I am not one of your usual customers. You are selling me reminders of kindness, patience, compassion, listening, and love. I am deeply grateful that you do. all of my ‘customers’ are unusual. That is what I love. What I find compelling, dear friend, is that you sell me the same. I believe Christianity to be a lifestyle, and not simply a religion of rules and guidelines. okay. I’ll walk back through in my comments to each of you, I think. But before I do, I want to thank all of you for stopping by and taking part in this conversation. Thanks in particular to Mimi and Matches for talking twice, working toward interaction. And Mimi for talking about other comments. Do you know how cool I think talking among yourselves is? Way better than talking with me. I know. Because I talk with me all the time and I’d rather talk with you. It’s not clear to me that I left a clickable link, therefore, by way of Blatant Self Promotion, I bring you…. Thanks again for creating this space, Jon. In case I haven’t said so in public lately. In Jesus’ Holy Name, Amen. A great post, Jon. Really inspirational and centering. Thanks!